Gah! I’ve been tagged. Audrey and Dan have tagged me in the #My7Links memearoonie, and, and in order to comply with their wishes and carry on into the future of blogging, I must answer. And so they and TripBase (who started the whole thing) want to know the following. What ten looks like from the outside. I’m not sure how to measure this. In terms of the most hits on google, it is either about torta chilena, in which case it’s either this one or this one, or about whether or not you should tip your postman, which is this one. In terms of love from fellow bloggers and blog readers, it would be the one about travel horror stories. This is also the story that Pam read aloud at TBEX 2010 (though this is the original, longer version), in case it sounds familliar, that’s where you heard it. Group Post, Me First Then You, an Ecuadorian Tale. Whenever I touch on the Chilean dictatorship, people (understandably) get grumpafied. It’s not mine to comment on, I wasn’t here, I didn’t suffer either on the right or left. They are right. I was eating open-faced turkey sandwiches in a very Brady kitchen in Brooklyn throughout most of it, and don’t know how anyone suffered, left, right or center. Here’s one of many posts on my experience with traces of the dictatorship, many years later. I don’t write alot of global advice, but here’s something sweet on how to deal with being intruded upon in a bathroom stall or stuck on a bus (or even both at the same time, if you play your cards very wrong. Open the Door Close the Door, a lesson in emergency Spanish.. I thought I was treading very close the the annals of poor taste when I told this story of how the nurse tried to follow me in to the bathroom to do the pre-urine sample cleanup for me. I have met people at parties who have told me how much they loved this post. I’m glad my discomfort could bring some joy (spoiler, I did not let the nurse do her job). 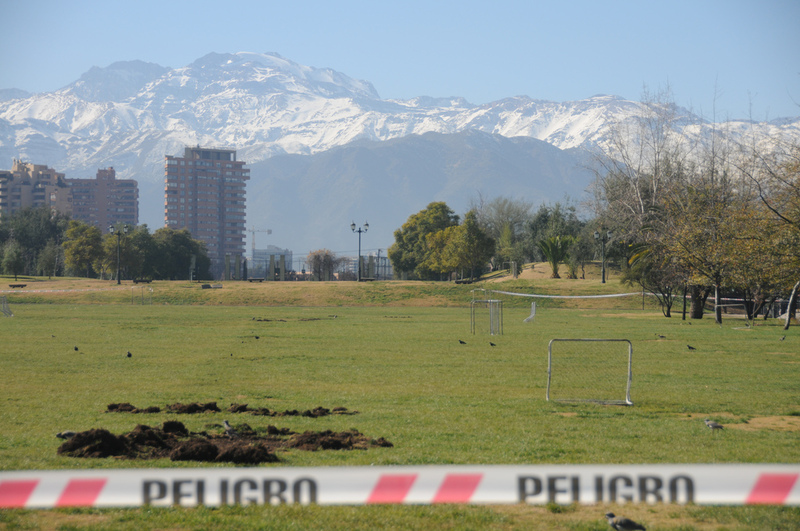 The story I shouldn’t tell, re-urine sample in Santiago, medicine in Chile, always surprising.. Abortion is illegal and criminal (prosecutable) in Chile. Here’s a piece I wrote when a clandestine abortion clinic in my friend’s apartment building was raided. Abortion clinic raided in Santiago.. I come back to this post again and again, because it reminds me not to be smug about what I see, or what I think I see. The empty lot is empty for real now, Domingo and his friends/family having been cleared out. I have no idea where they’ve gone, and I’m quite certain that they haven’t given me a second thought since we met. Domingo’s tree and my own ignorance. Wildcard (this means you). The first person who tells me they wish they’d been tagged, but they haven’t, I’ll put them here. I had many people that I thought about tagging, but then I didn’t know what to do, and in the interest of fairness and not making people grumpy, I’m doing it this way. A little poetic license, if you will. Edited: I’m also tagging Christie and Matt. I was very Chile-heavy and felt like we could use some cross-pollination. But by all means, participate, spread the love if you’re inclined! I’ll link to you below if you tell me you’ve participated. Wow-great choices on your blog and tough act to follow- thanks… and I’m thinking how to respond! In the words of the fabled Audrey and Dan “Don’t think too hard.” So I didn’t. I’m sure you’ll do great. Looking forward to it! We’d love to give this a go if you’d like to tag us. We’re Christie & Matt of s/v Kaleo, learning the ropes of sailing about the world for awhile. Whoa, been tagged in the blogosphere wildfire 🙂 It’s becoming hard to resist…! Mil desculpas if you didn’t want to be tagged. But you’d be good at it. Advice given from Dan and Audrey (who tagged me): Don’t think too hard! was that ear-slapping? I’ll have to go back and see what you’re talking about! I got tagged by two people. It’s really going around. I hadn’t read these posts of yours. I’m glad we all got tagged.